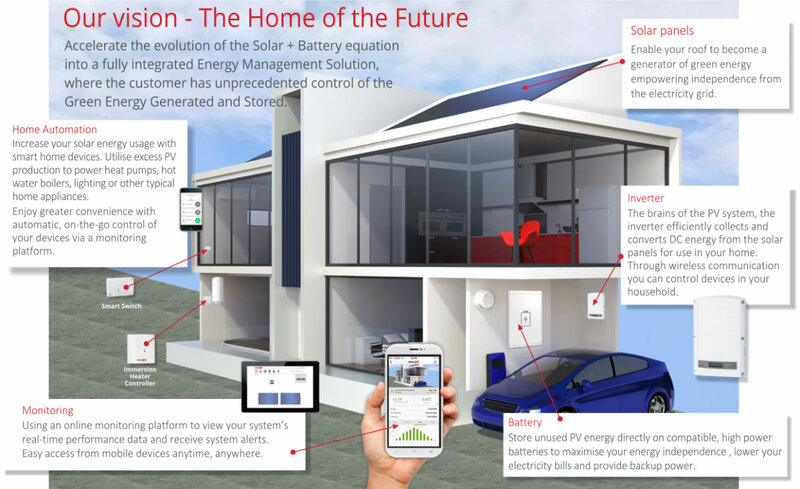 South Australia Home Battery Scheme is now live. Subsidies of up to $6000 available through Natural Solar, Australia’s largest installer of solar batteries. Natural Solar is the leading and largest Australian installer of battery power, and a true authority on Australia’s renewable energy industry. Founded in 2012 by Chris Williams, and having installed some of the most high profile solar and battery installations worldwide, Natural Solar has a reputation and expertise in developing bespoke energy storage solutions to suit the residential, commercial and development markets. Natural Solar has focused on targeting Australian markets with a desire to adopt this new technology, as well as an inherent need, with high power prices and low export tariffs. Natural Solar is committed to forging global partnerships with premium products on the market. A strength for launching new products to Australians, Natural Solar use their expertise and authority to properly educate the Australian public on the opportunities available in the energy storage sphere. The growth of Natural Solar as both a company and industry leader has been publicly recognised, with Natural Solar awarded the Bridgepoint Award for Australia’s Fastest Growing company (2018), achieving #15 on the AFR Fast 100 for two consecutive years (2017 & 2018) and shortlisted for a Telstra Business Award (2018). Depending on the size of your solar system and sonnenBatterie Eco 8 (must be Eco 8 model), you get a set amount of free electricity per year! Meaning if you don’t go over that amount of electricity per year, you don’t pay a cent for your electricity bill! sonnenFlat is the way that Aussie homeowners will be able to take back the power from the energy retailers who continue to increase prices year after year and soon, paying for electricity will be like having a mobile phone plan, with the monthly administration costs of the deal being only $42, $52 or $62 per month. Imagine paying only $360 a year for power! With sonnenFlat, that’s possible. 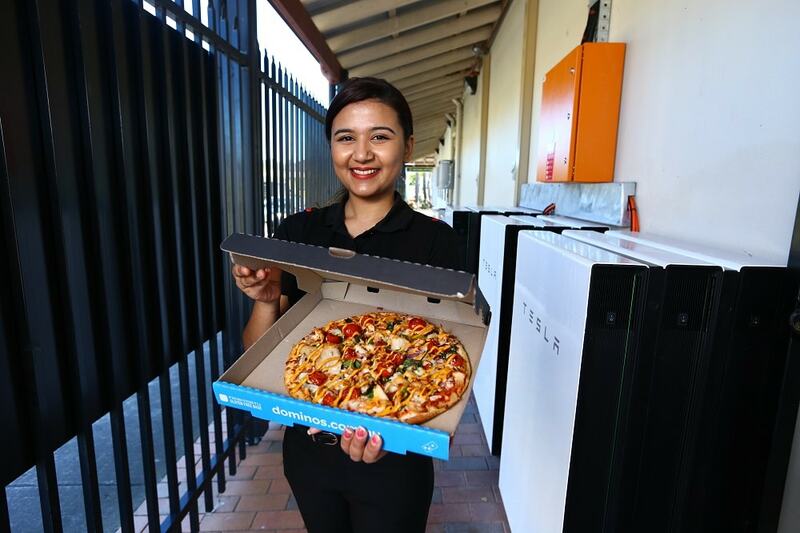 Customers can now look forward to ordering battery powered pizza from the Dominos Plumpton store! Read the story here. In 2016, the year the first Powerwall launched, Nick Pfitzner installed a Tesla Powerwall at his home. 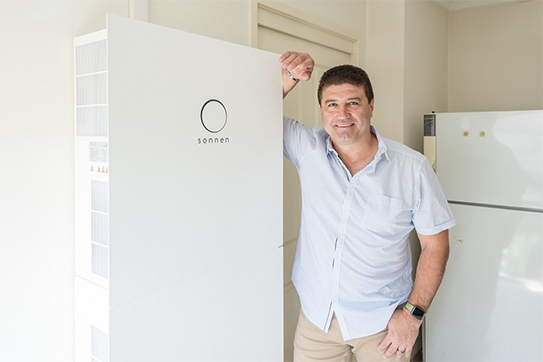 This was the very first Powerwall to be installed in Australia and one year on the verdict is in. The testimonies below were both featured on the Sunrise TV program and clearly demonstrate how much can be saved with the home battery. Natural Solar are proud to have installed this Powerwall and are keen for others to learn of Nick’s positive experiences. 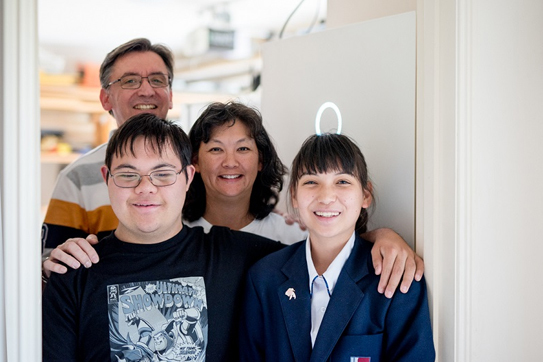 The Pfitzner Family, proud owners of the first Tesla Powerwall in Australia. Installed in 2016 by Natural Solar. 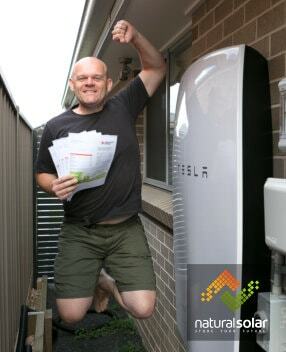 Nick Pfitzner reveals what 12 months ownership of a Powerwall, installed in 2016 by Natural Solar, has been like.